Herb gardens are a wonderful addition to the edible landscape. Herb gardening in Sacramento County can be a rewarding experience when you consider a few basics. Herbs need at least 5 to 6 hours of sunlight per day. Fertilizing herbs should be done once or twice per season with a low nitrogen, organic fertilizer. Prune herbs to create an abundance of harvests throughout the growing season and to maintain their shape. Below is a collection of resources just for the home gardener. For details on the herbs at the Fair Oaks Horticulture Center, visit the link in the gold bar above. For details about growing various herbs in your garden, visit our Grow Herbs! page. Sage growing is explained on this UC Integrated Pest Management online page. 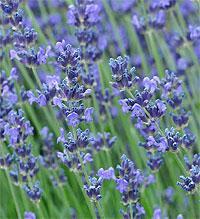 UC Davis Good Life Garden blog has an informative entry with basic information on growing herbs. UC Arboretum All Stars has a few wonderful herb choices such as Lavandula x ginginsii ‘Goodwin Creek Grey’, and Rosmarinus officinalis ‘Mozart’.